Well, after the NEC gigs in late December, not much has been happening. 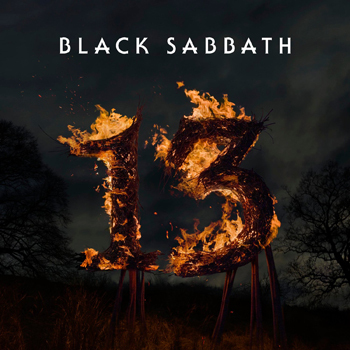 Sabbath itself is supposed to be “done”, but you know how these things go – they’ll probably do something together next year. :) There are no “secret plans” to play somewhere, and I beg of you PLEASE STOP WRITING ME ASKING IF THERE ARE MORE TOUR DATES!IF I HAD ANY, I WOULD POST THEM! I AM NOT HOLDING BACK INFORMATION FROM THE PUBLIC (as I’ve been accused of doing in a few nasty emails). Tony Iommi – His solo album is supposed to be done, or close to it. I keep hearing a Feb/March launch, but if it is that close, we probably would have more concrete information by now, I would think. Geezer Butler – The most secretive/private member in the band. Donut is known here, except a remark I heard before the last Sabbath tour that he’s "writing material with Pedro (Howse – his guitarist, friend). Ozzy Osbourne – Well, Ozzy has been rumoured to have a new solo album in the works since the release of his Greatest Hits album a year ago or so. There’s no concrete news other than a short clip on the Epic Records Ozzy page that says simply, "Ozzy is currently working on his next solo album, due out in Spring 2000! Pre-production begins as soon as Ozzfest is done." Bill Ward – Bill’s got some more concrete news – here’s some stuff I wrote last month for Bill’s site after talking with his production manager. The long awaited reprint of Bill’s second record “When the Bough Breaks” is completed, and will be available shortly. It will be made available directly off this web site – details will be made available shortly. 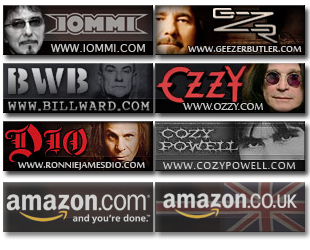 The details need to worked out insofar as payment, credit cards, and the lot, but there should be direct order sales from the Official Bill Ward site shortly. Regarding Bill’s third studio album, "Remembering", Bill gave it a listen last month, and then set up some studio time to finish it up, and get it out this year. A date is not yet available, as Bill hasn’t looked at the record since the Black Sabbath reunion tour. A decision needs to be made as to how much work is left to do on the record – but you should expect a new Bill Ward solo record in 2000! To your right is a scan of the reprint’s new cover art. The old "two roses" art was never supposed to be there, it was a mistake that it was released – this art is what it should have been all along.